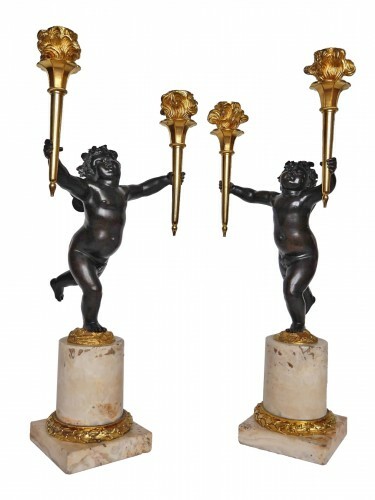 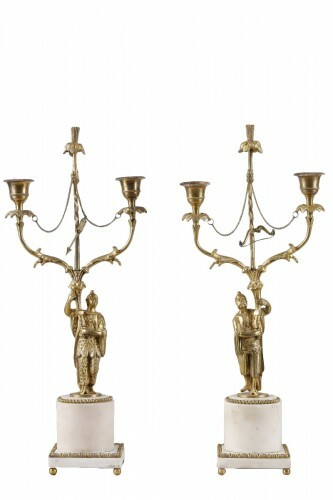 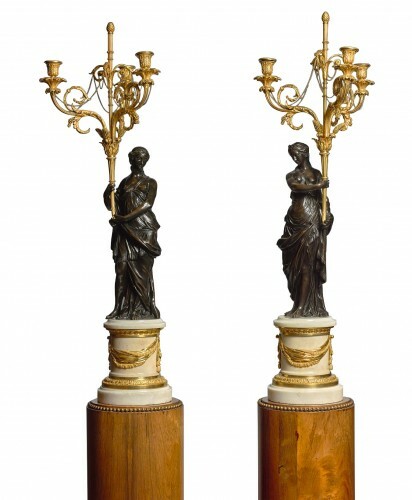 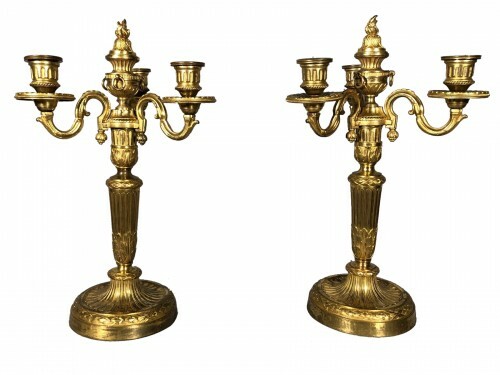 Pair of marble and ormolu 4-lights candelabras, late 18th century - Louis XVI / Directoire period - 1790-1800. 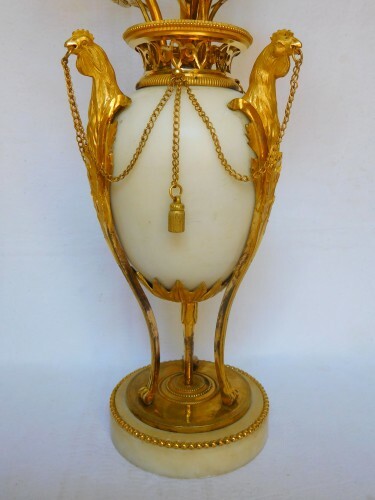 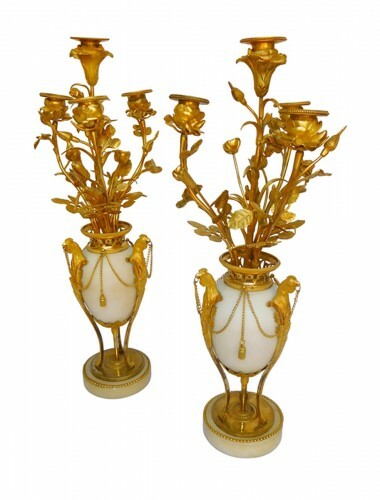 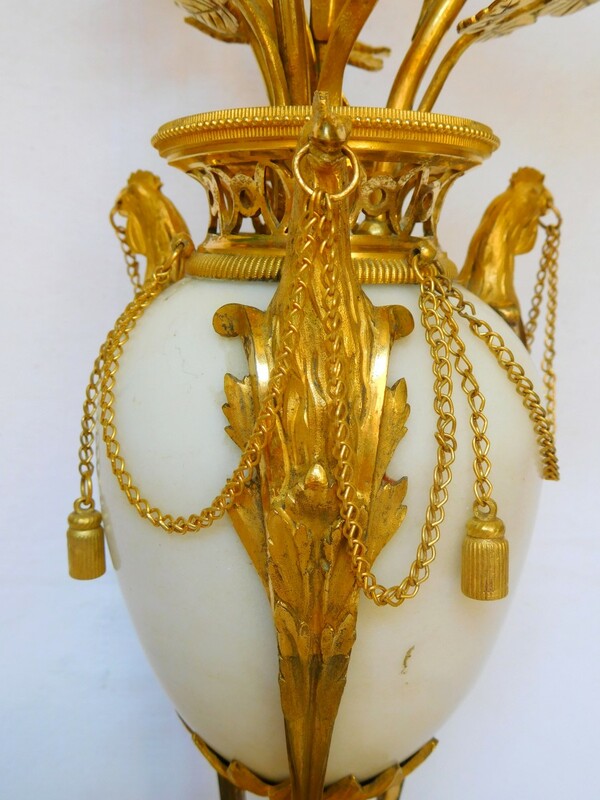 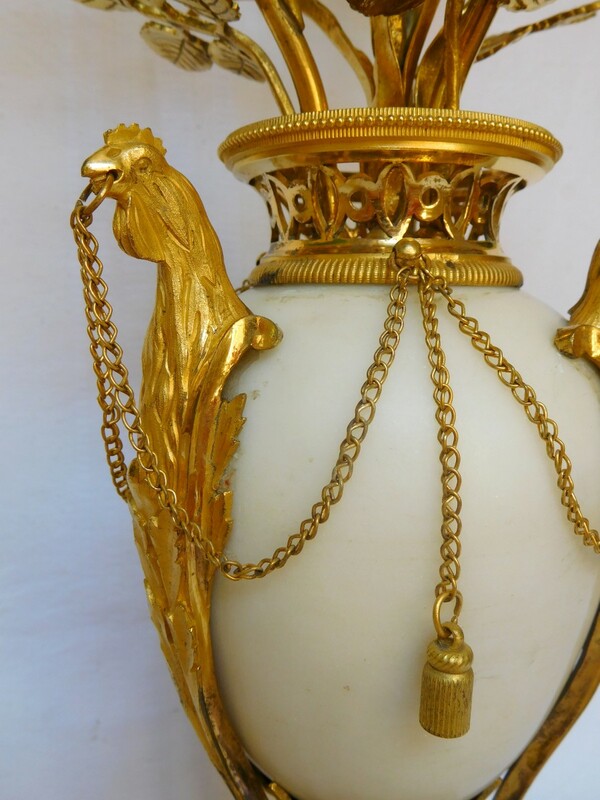 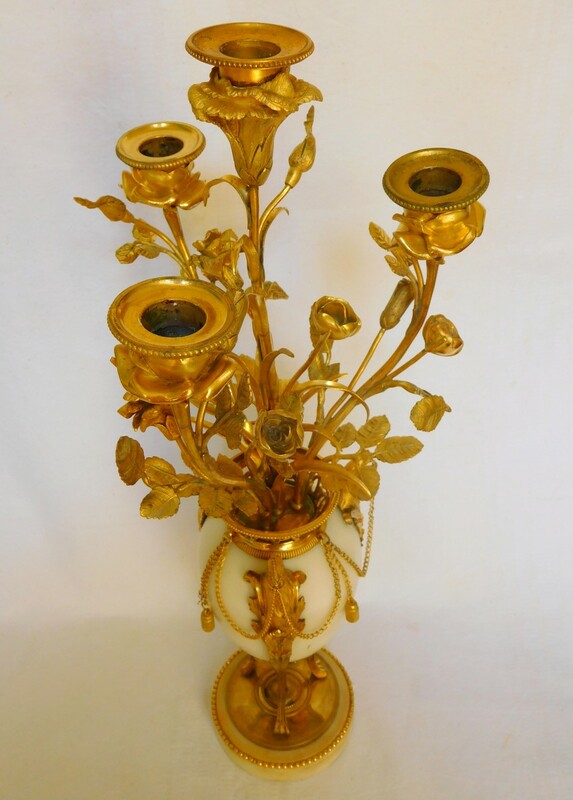 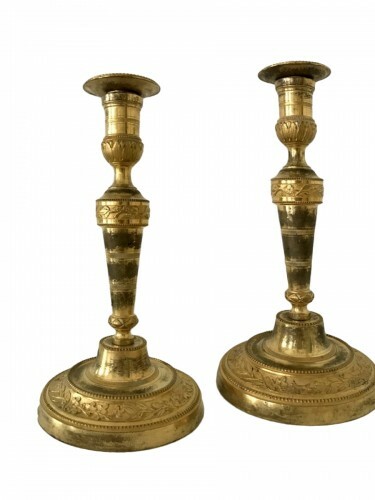 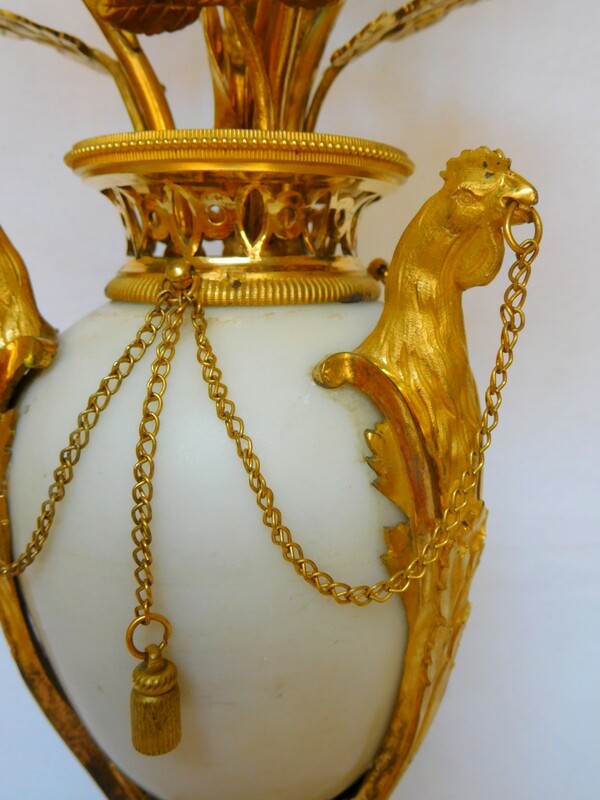 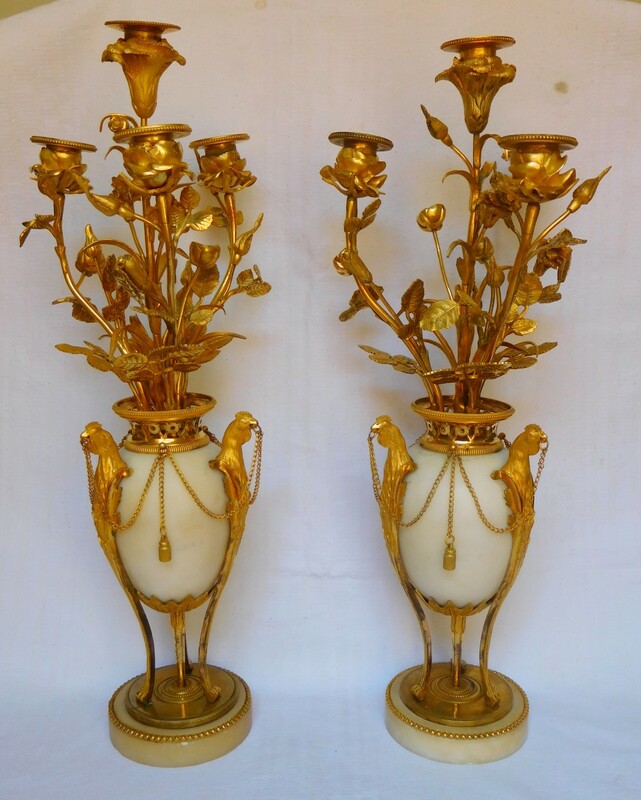 Original, refined production, ovoid-shaped vases on a tripod frame ending with rooster heads, linked together with gilt chains. 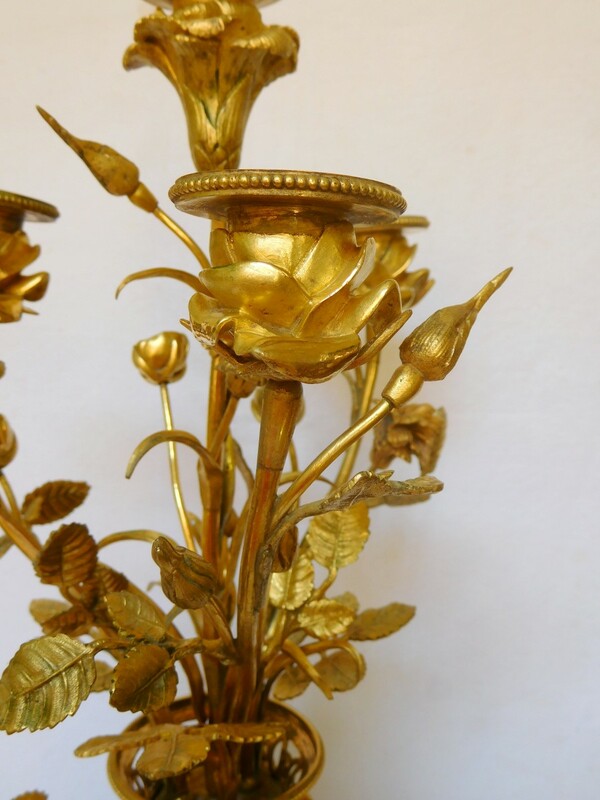 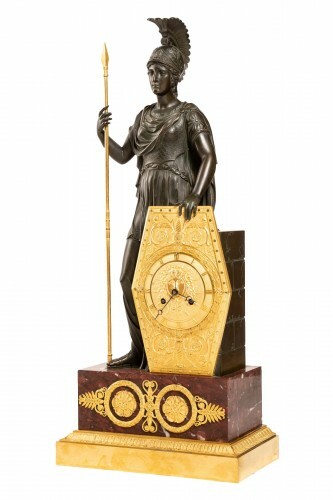 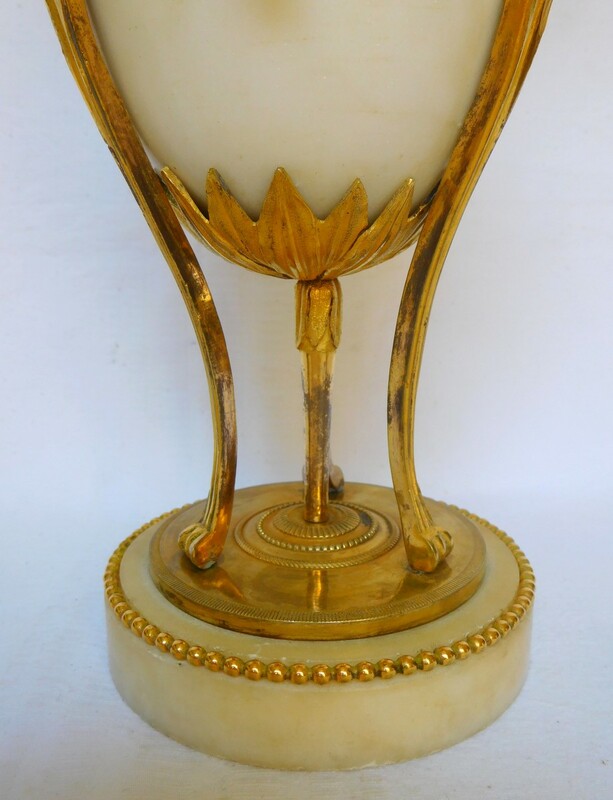 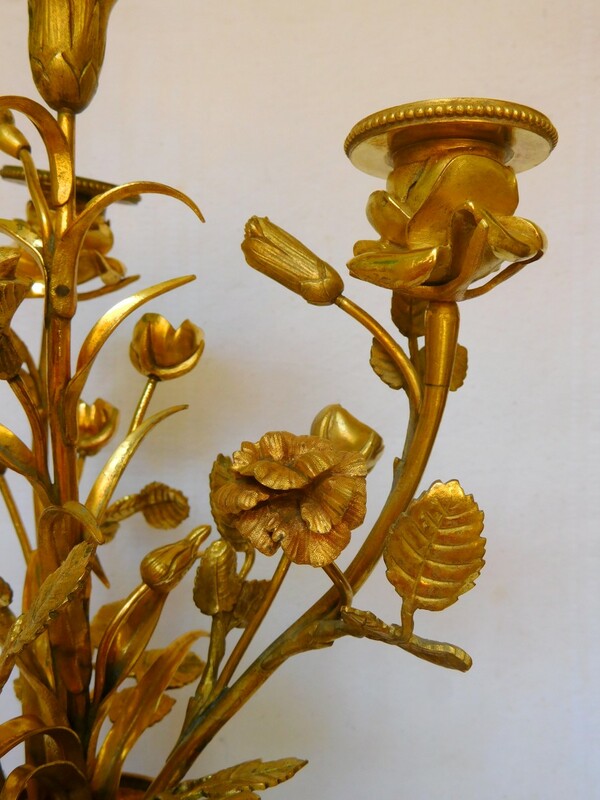 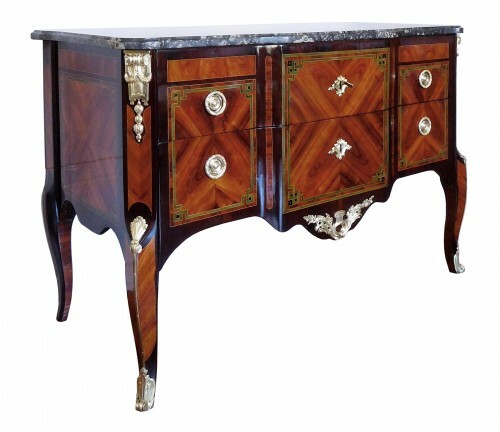 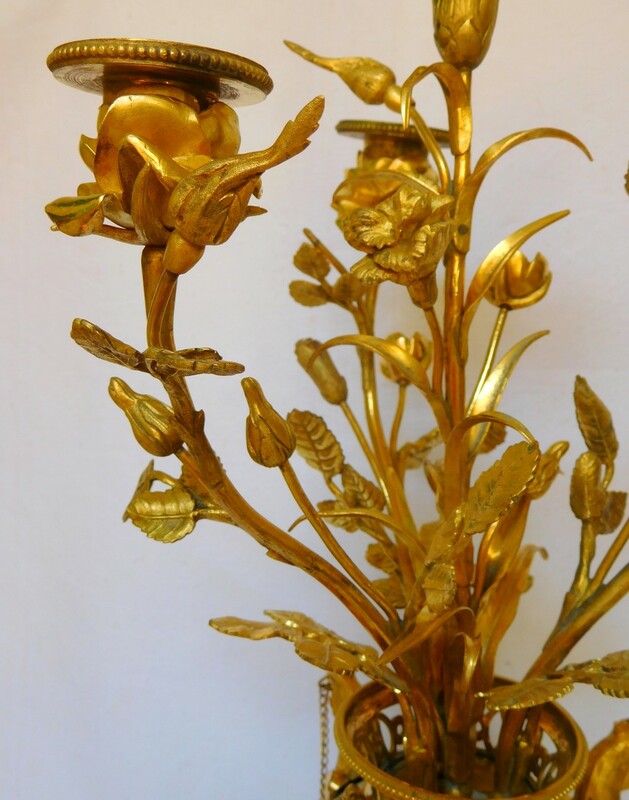 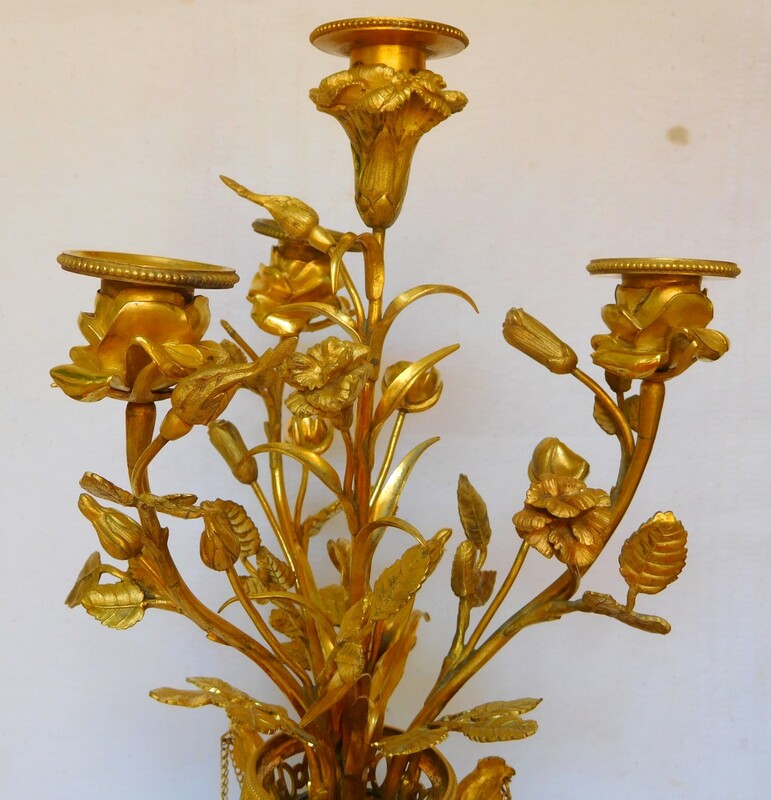 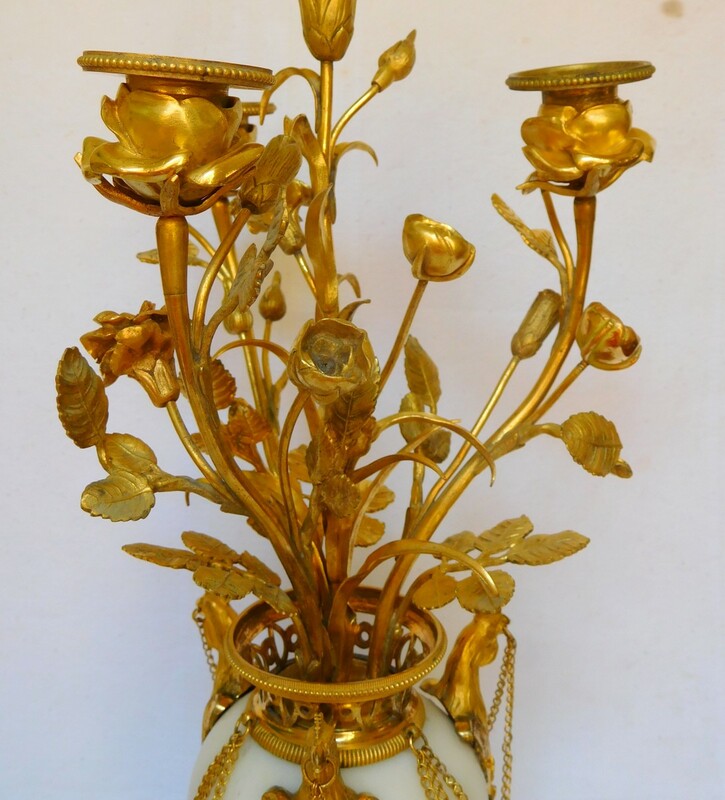 In very good condition ; mercury gilt is fresh.